If the flower is to be found in this sculpture, it hides its petals well. The Amaryllis is a cold weather flower that blooms readily and is associated through Ovid with devotion. Emerging out of the solid base (metaphorically its bulb), this metallic flower curves, possibly towards the sun. 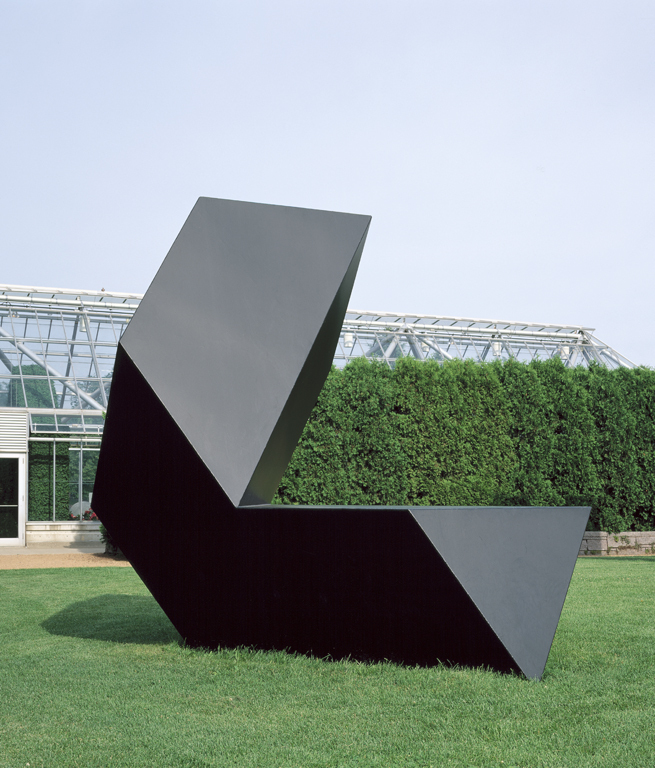 Created of strong triangular shapes, some truncated, the sculpture seems stable and solidly connected on the ground at some angles and balanced on a knife’s edge from others. The raised surface steadily grows out of its base. Depending on the angle, it forms an optical illusion, where it can seem shorter or taller as you circle it. 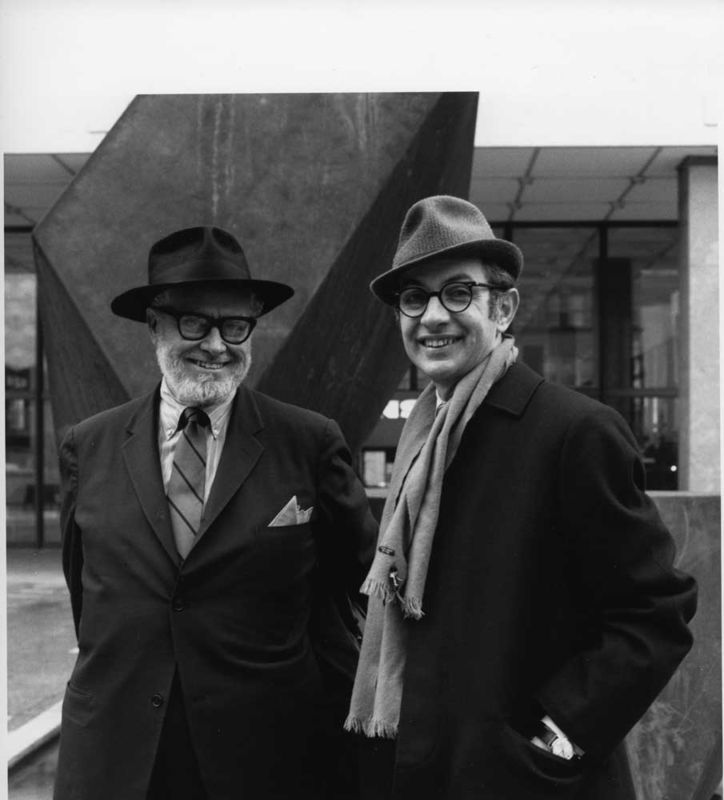 Born September 23, 1912, Smith passed away in 1980, but his legacy can be witnessed both with Amaryllis in the garden and in the galleries. He was patriarch of a creative family: his wife Jane was an opera singer, and two of his daughters, Kiki and Seton, are visual artists. Kiki Smith’s Kitchen is currently on view in the exhibition Midnight Party.